Early December 2018 the Federal Government cast further uncertainty over the 2017 Federal Budget proposal to remove the main residence CGT exemption for Australian expatriates. Many might be relieved, but you might want to be careful what you wish for. The proposal was intended to apply to Australians who left Australia to live and work abroad and who retain their former home, and if sold after 30 June 2019 no CGT exemption would be available, no matter the ownership history of the property. For example, if you bought your home in July 2010 for $1,000,000 and had increased to $1,250,000 by July 2015 when you became non-resident but held onto the property until the property is sold for $1,500,000 in July 2020, $500,000 would arise as a capital gain. The first half of your ownership and use of the property as your home, and nomination as your main residence for CGT purposes, are all to be disregarded, under the proposal. This is a disastrous tax policy proposal, with horrendous and inequitable retrospective tax consequences. The property could be sold tax free in July 2015 and even up to 30 June 2019 under current tax law, with no tax consequences arising. Holding it one extra year, makes all the difference. And who knows how this law change will interact with other recent tax law changes that are in operation, including the loss of the general 50% CGT discount for non-residents, or even the ‘ghost tax’. And take note! Capital gains are included to your taxable income, so this surprise lumpy income arising from disposal of properties that were once your home will be taxed at harsh non-resident rates of tax. Remember, these laws apply to properties being sold by non-residents, so non-resident tax rates are likely to apply. So for example, there will be no tax free threshold. With the softening property market, Australian expatriates who are concerned (and aware) of the tax proposal may find they have trouble selling into a weaker market. 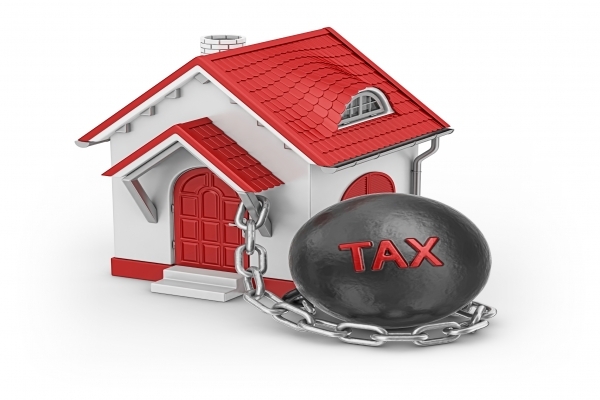 They could be stuck with their property, falling in value and hurtling toward a tax exposure unless a sale is secured. The Government might want to run away from its own proposal when it realises this change could actually cost itself revenue. If a property was acquired in the hot property market of 2017 for $2,000,000 and it falls to $1,700,000 and it is sold once they are non-resident. The new tax laws, dressed up as part of a housing affordability package, might actually provide a taxpayer access to a capital loss of $300,000 that could help soften the reduced sale proceeds. All of this is hypothetical, of course, particularly with the legislation being caught in Parliament until late 2018. But if it does not pass and there is a change of government (as the current polls suggest) then there might be a greater likelihood that this policy could make it into law. At least with the current impasse under of the current parliament, being stuck in the halls of power might be better than it achieving Royal Ascent. Tax Services Australia has been helping Australians with quality, independent and reliable taxation advice since 2001. If you to proactively plan for it to seek out the right tax opportunities available in your situation, contact us today.